Sisley-Paris is one of those beautiful skincare lines with cult-status products and extremely expensive prices. I’ve tried a small handful of things to date and splurged on a few face masks which are really quite amazing. Due to the price points I haven’t looked at the line in detail even though many readers recommend the Black Rose Precious Face Oil. They launched a beauty subscription program which allows you to sample five things a month at a pretty reasonable price. The Beauty Subscription service is exclusive to the Sisley-Paris website in either a 6-month subscription for $60 or 12-month subscription for $100. The cost is like you are essentially paying for postage. I’ve been lucky to receive it for a few months now courtesy of Sisley. However since my move across country, other skincare projects, having to adjust to new surroundings and weather, and also other things happening in life I haven’t had a chance to try most of the items. The good news is that I saved up six months worth of boxes to be able to share with you today what 6 months looks like. Sometimes seeing more than one month’s worth makes it easier to decide whether or not to sign up for a subscription program. Buff and Wash Facial Gel is a very gentle facial scrub suspended in a gel wash, this was very gentle but still effective, I find most scrubs too harsh for my skin and this one is among the most gentle that I’ve tried. Facial Mask with Linden Blossom is designed for the most sensitive skin, it has a very soft and soothing feel to calm and smooth the skin, you leave it on for 15 to 20 minutes and rinse off, it’s an excellent calming mask. Energizing Foaming Exfoliant for the Body is such an amazing body scrub, I’ve mentioned that I’m a die-hard loyal fan to Aesop, this one is more gentle with a more feminine spa-like feel, I’m adding this to my buy list for when I see a good GWP. Eau de Champagne Lotion is a lightweight cream that smells like a bright citrus champagne green scent, it has a light enough scent that it’s not overpowering, I love how it absorbs quickly, I’m more of a body oil kind of girl now, but would consider using this in humid weather as it’s quite refreshing. Izia Eau de Parfum is a lovely soft rose scent, I’m more into green or white florals, but this is one of the most wearable rose scents I’ve tried. Black Rose Precious Face Oil is the most raved about item and most recommended from my readers, I’ve been a long-time devotee to Kiehl’s Daily Reviving Concentrate and Midnight Recovery Oil. I tried the Black Rose Oil twice (each sample is a 1-time use and I had an extra one from another GWP) – both at night. It’s a richer oil but a little goes a long way, it’s beautifully hydrating and when I use it overnight I wake up with super soft skin. I’ve also tried all the milk cleansers, I’m more of a liquid or gel cleanser person but these have been nice to try. I’ve featured a few other beauty subscriptions on the blog that I signed up for including this one from Sephora and this one from Birchbox. I cancelled both before I moved from San Diego. The monthly cost was reasonable but the contents were hit or miss. I’ve discussed beauty subscriptions with a few friends – some say they think subscriptions aren’t really worth that $10 to $25 per month because they’ve gotten things they just don’t care about. Others have said it makes more sense for a luxury skincare line because you’d have a better idea of what you’d be sampling from rather than a bunch of random brands or colors of lipstick or highlighter you’d never wear. I agree with both sides. For the Sisley Subscription Program you can find a lot of these in GWPs and I’ve definitely accumulated quite a few sample packets over the years. I had a good relationship with one of the sales associates at my local stores and they would often pull samples of what they could find. The nice thing about the subscription is you don’t have to spend $100 to $300ish for the minimum for just a few samples – it’s a lot more affordable this way. A few last thoughts: The size of the packets and tubes you get are most of the time a single or two-time use. Some of the larger bottles of cleanser or makeup remover you can definitely get more use out of (I’ve used some 5 times and there’s still a lot left). With skincare I do feel like more product would definitely be helpful in testing these items – so whether or not this would be useful or worth it to you will depend on your preferences. 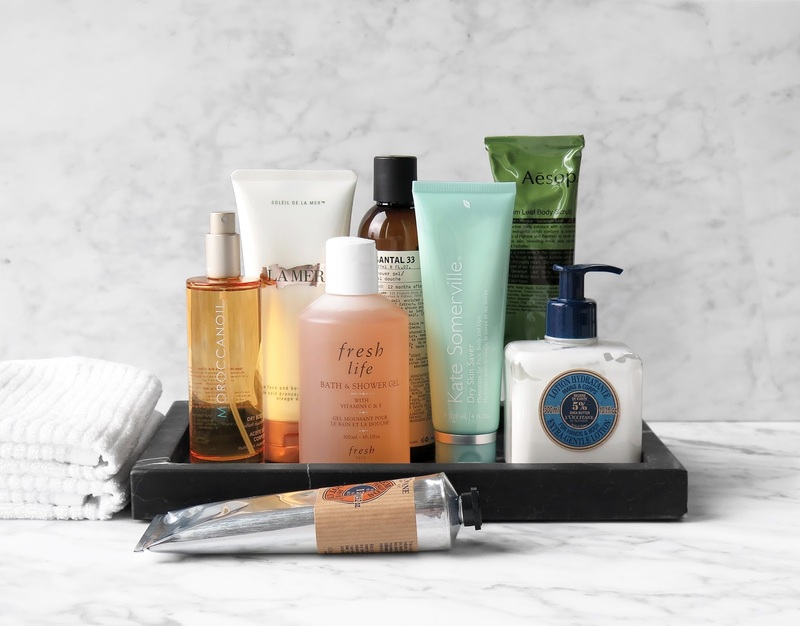 There are some discovery sets with larger sizes available to purchase at retailers like Neiman Marcus or Nordstrom to give you a better sampling. Still at the price point of this subscription program this is a nice way to try new things each month. You can find the Beauty Subscription Program exclusively online at Sisley-Paris. Full size items and sets also available at Beautylish, Neiman Marcus, Nordstrom, Net-A-Porter. Have you tried anything from Sisley-Paris? What are your favorites? Beauty subscription provided courtesy of Sisley-Paris.